Sunday marks the first car-free bike ride on the viaduct before it’s demolished. Imagine the wind running through your hair as you’re urban-biking from a unique vantage point offering views of Puget Sound, the Olympic Mountain Range, and downtown Seattle. That might sound like a dream (or a nightmare for those who hate transporting on two wheels), but it’s the plan of nearly 6,000 cyclists during the Alaskan Way Viaduct’s first car-free ride this Sunday, April 8. The third annual Emerald City Ride hosted by Cascade Bicycle Club, features a 12-mile full-loop route through the SR 99 Alaskan Way Viaduct, across the Aurora Bridge, and onto the I-5 express lanes before ending at Pyramid Alehouse in Sodo. A shorter three-mile option through the Viaduct will start and end at Pyramid Alehouse. Registration for the ride costs $40 ($25 for the short ride), and can be completed at cascade.org. 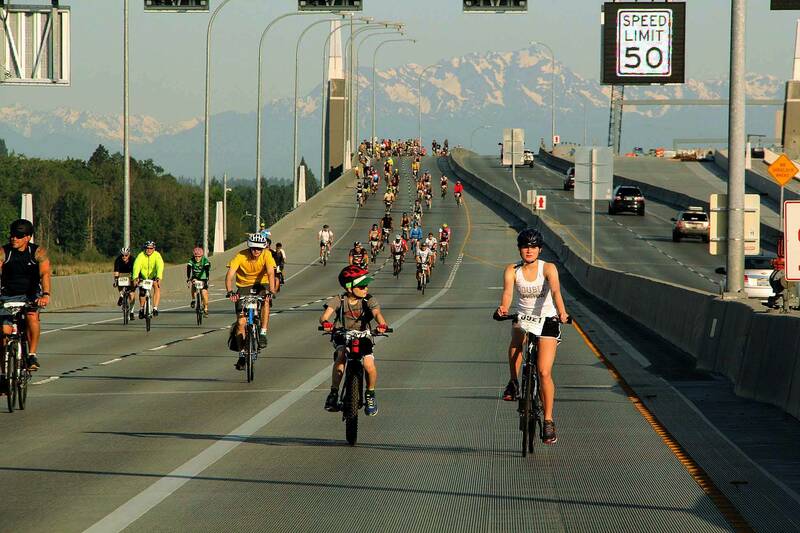 The organization’s 2016 ride took place on the 520 Bridge before it opened, while last year’s edition was on the I-5 express lanes, 520 Bridge, and I-90. This year’s ride also coincides with the imminent closure of the Alaskan Way Viaduct, which will be demolished next year. Constructed in the 1950s, the Alaskan Way Viaduct was the first double-deck bridge in Washington. However, transportation authorities say that this once-innovative configuration has outlived its purpose. In an October 2009 letter of agreement among the state, the county, and the city, it was decided that the Alaskan Way Viaduct would be demolished. 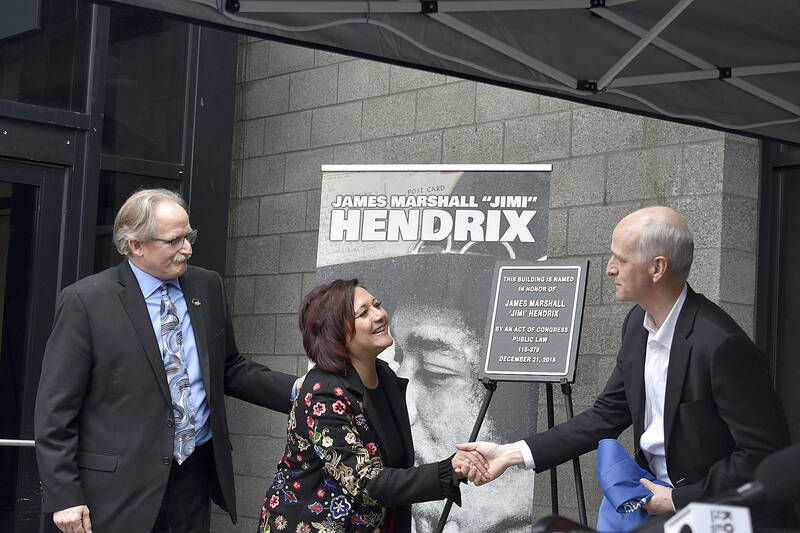 A citizen-led coalition called Recharge the Battery lobbied for the city to conserve Battery Street Tunnel—the main connector between the Alaskan Way Viaduct and Aurora Avenue North—as a bike trail, among other suggestions. But preservation cost estimates that topped $100 million convinced City Councilmembers that the tunnel was beyond saving. On March 26, the Seattle City Council sealed the tunnel’s fate in a 7-2 vote to fill the Battery Street Tunnel. Now that the Viaduct Replacement Tunnel is complete, the Cascade Bicycle Club saw this year’s route as the ideal opportunity to commemorate the Alaskan Way Viaduct and for riders “to experience Seattle like never before,” according to Tongco. Proceeds from Sunday’s ride will go towards the nonprofit’s bicycle education programs, and their continued work in championing for improved and safer bicycle infrastructure.